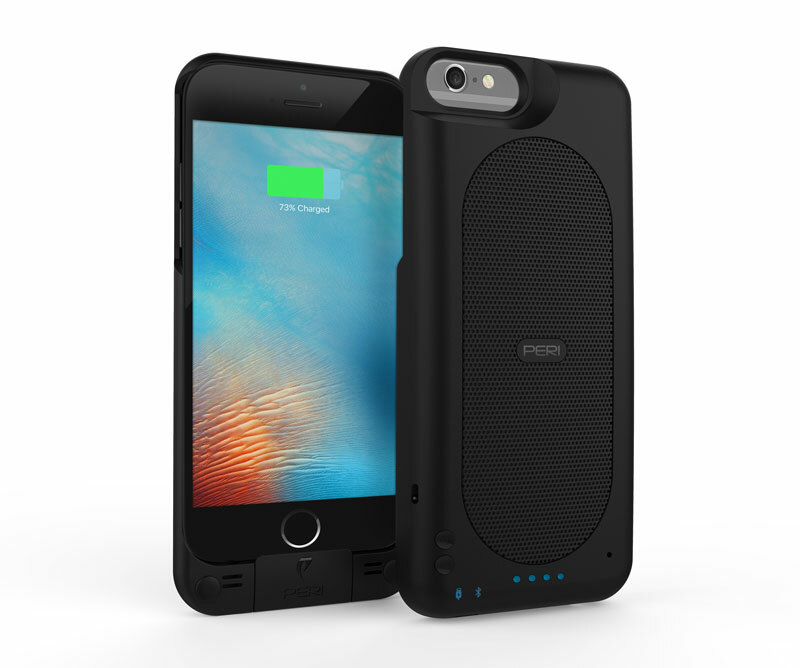 LAS VEGAS – CES 2017 – Jan 5, 2017 – PERI (www.PERIaudio.com), innovator of cutting-edge wireless audio and power products, today debuted Duo Slim, the latest edition to the Duo family of iPhone® speaker and charging cases, featuring a hi-fidelity Bluetooth enabled speaker system and 2500mAh battery, providing a completely new way to experience music. Play digital audio directly from the iPhone to the Duo hi-fidelity speakers via a docked iPhone lightning connection. Use the Duo as a detachable Speaker – connect any Bluetooth enabled device and play wireless audio to the Duo via Bluetooth BLE. Enhance phone calls with microphone/speakerphone capability via Bluetooth. Full-range 3-watt speaker system tuned for rich bass. High-resolution DAC (Digital-to-Analog Converter) for improved hi-fidelity audio. Provide 100% extra battery life to your iPhone or enjoy 10+ hours of audio playback with the Duo’s integrated 2500mAh battery. Simultaneously charge the Duo and attached iPhone via USB Charging in half the time of other leading battery cases. The Duo Slim is currently on pre-sale through Kickstarter with rewards starting at $69. The Duo Slim will retail for $129.99 for the iPhone 7 model and $139.99 for the iPhone 7 Plus model. PERI has received an LOI from VOXX International Corporation (NASDAQ: VOXX) to distribute a version of the Duo Slim for iPhone 7 under Voxx’s 808 Audio Brand. PERI will be showcasing the Duo Slim at the VOXX booth located at the LVCC in Central Hall, booth #13506. Stay in tune with PERI and the Duo at www.PERIaudio.com or through Facebook, Instagram and Twitter. Founded in 2014, PERI (www.PERIaudio.com) is dedicated to creating high-quality audio and power products that integrate cutting-edge and innovative wireless technologies in the mobile accessories, portable consumer electronics and car audio markets. The company specializes in proprietary IC design and innovative audio and power consumer products. PERI is Portable Electronics Re-Invented! Stay in tune with PERI through Facebook, Instagram and Twitter.